When i turn on the computer it boots and when the logo of Windows XP appears with the black background as usual and the progress bar scrolls.well On that stage it stops completely so i cant even get into the welcome screen.What to do? It mostly happens due to improper Shutdown.This improper shutdown leads to error in your Local Drives. 1.When your Start your Computer Press F8. 4.Type the following and hit Enter. Note: Chkdsk Stands For Check Disk. 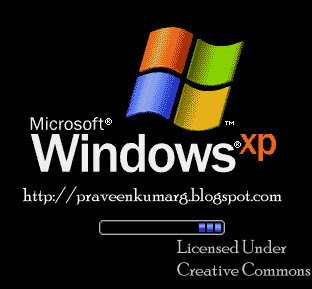 6.The Windows Xp Boot Screen Freeze Problem must be fixed. If the Problem persists try to System Restore. Select a Restore date for your Windows Xp.The Boot screen freeze problem will be fixed. mine freezes there too including when i try booting on safe mode, i attempted to reformat it but when i boot off the xp installation cd it freezes on the part that says "setup is starting windows"